It's well know that wallet is used to hold money or credit cards and so on. But people seldom know that wallet can be used to change the playing cards. In fact, exchanging cards wallet is one of the best cards exchangers to change the cards from our company. 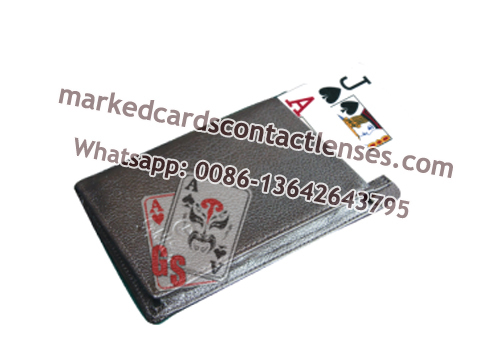 Generally speaking, wallet is a perfect cover for changing cards tool, because people take the wallet or purse with them whenever and wherever they go. It's quite normal that you take the wallet with you when playing poker games. With this wallet cards exchanger, you can exchange the cards you don't want into the cards you hidden in less than one second. It sounds like a magic and it works just like a magic. Now you can be the magician yourself to play such a magic.